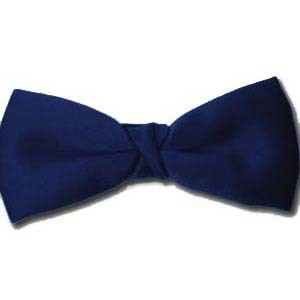 This pre-tied navy blue bow tie is made from a satin material. It has a very similar texture to the satin on our dinner jacket lapels and cummerbunds. Thank you so much for a prompt service. The order of ties ar ..